Ediciones Khaf was conceived with the aim to encourage open and plural reflection and dialogue Our wish and aim is that our publications transmit a sense of novelty, hope in the future, transcendence and depth: concepts, all of which, are much sought-after. We tackle current affairs, Faith, contemporary ecclesiastical issues, the essence of religion itself and solidarity within a climate of rigour and divulgation. Our publications seek to generate opinion and dialogue about the major contemporary questions that concern us all. 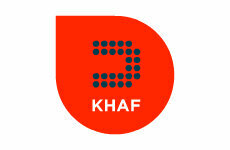 Ediciones Khaf is an imprint of Grupo Editorial Luis Vives. For any questions, please contact with us.